* 1. Would you like to have a Farmer's Market on Schofield Barracks? * 2. 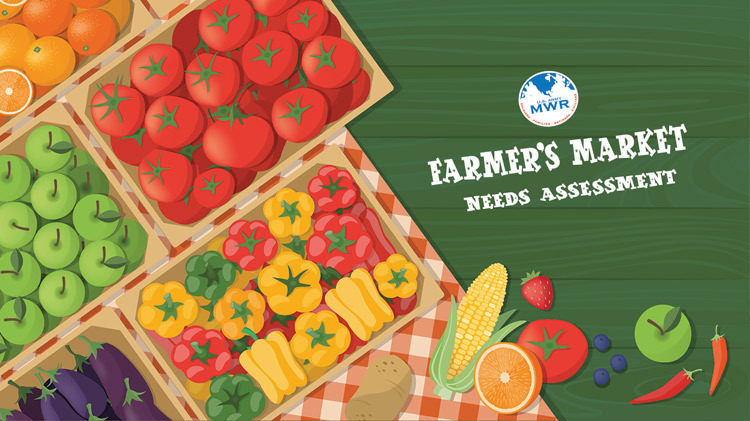 If so, how often would you use the Farmer's Market? * 3. What day of the week would you most likely attend? * 4. What time in the day would you most likely attend? * 5. What is/are the most important qualities of a Farmer's Market to you (check all that apply)? * 6. What is the best way to communicate with you about this market?